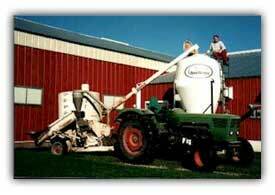 In 1972, we moved to Scandia, Minnesota and purchased our farm. 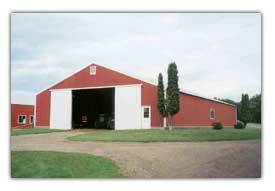 We were struck by the beauty of the numerous poplar trees and therefore came up with our farm name Poplar Hill. 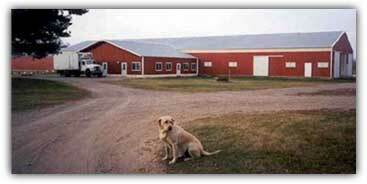 There was a beautiful old dairy barn that was the home to all our animals for many years and is currently home to some of our dry stock. 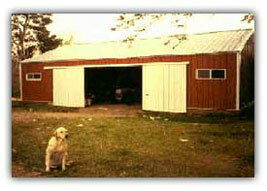 When this barn was used to house the milking does, we had to carry the milk from this barn to our original milkhouse. This house stored the bulk tank and all the milking equipment. 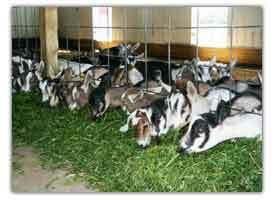 Eventually the six goats that we brought to the farm multiplied and some other purebred stock were purchased. We next put up a 50 x 100 pole barn that is currently used to house our bucks. It also serves as a machine shed. 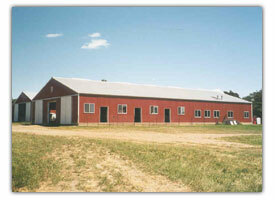 We kept growing and in 1984 built another pole shed that is currently used to house dry stock and our two horses. 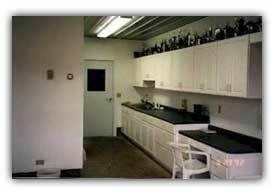 Our big expansion came in 1991. 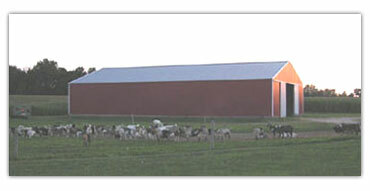 Our old dairy barn was overcrowded and we had to make a decision, either cut back or expand. 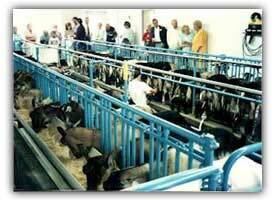 We chose to expand because our milk,cheese, and animal markets were doing well. 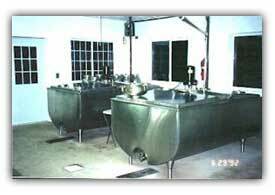 We put up a 60 x 200 dairy barn with a 50 x 50 attachment that housed the milking parlor, office, and milk house. 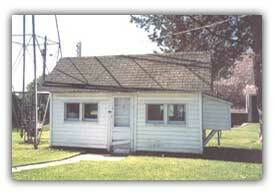 In 1996 we built a 54 x 117 poleshed that is used to house all our young kid kids and it also contains a heated shop. Kids are moved to this barn when they are born. They are housed in large plastic piglet crates until they are a few weeks old then moved to the back of the barn where they will stay until they are weaned. We raise most of the feed for our herd. This includes alfalfa, corn, and soybeans. 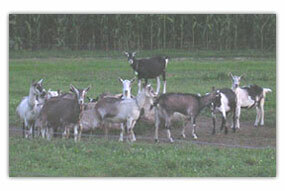 We grind our own feed which consists of ear corn, soybeans, and a salt and mineral mix. Come see the real thing! 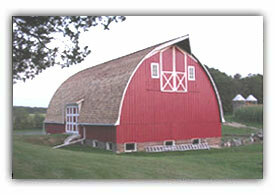 Call us at 651-442-2506 or send us an email at sales@poplarhillfarm.com for more information. Copyright � 2015, Poplar Hill Dairy Goat Farm. All Rights Reserved.